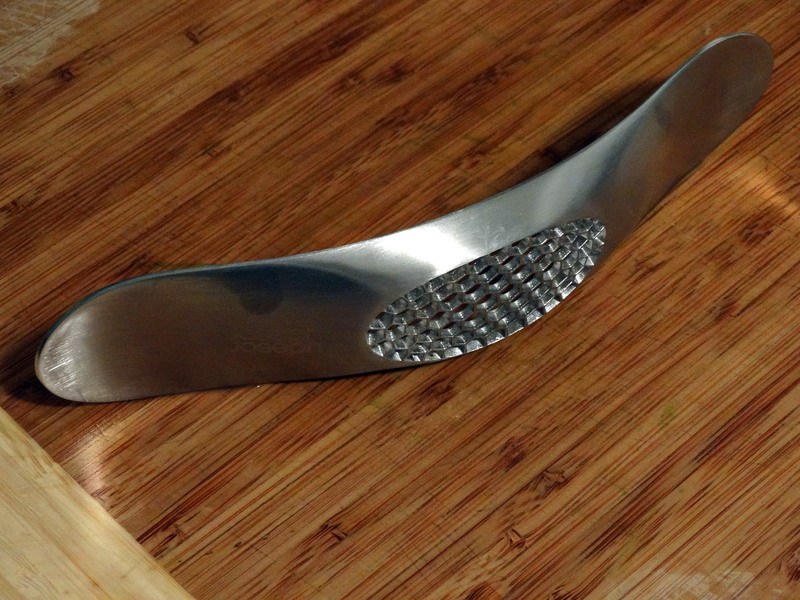 My new rocking garlic press is AMAZING. Instead of spending time hand mincing sticky garlic cloves, I use this press and, viola! Perfectly minced garlic. It’s super easy to use. 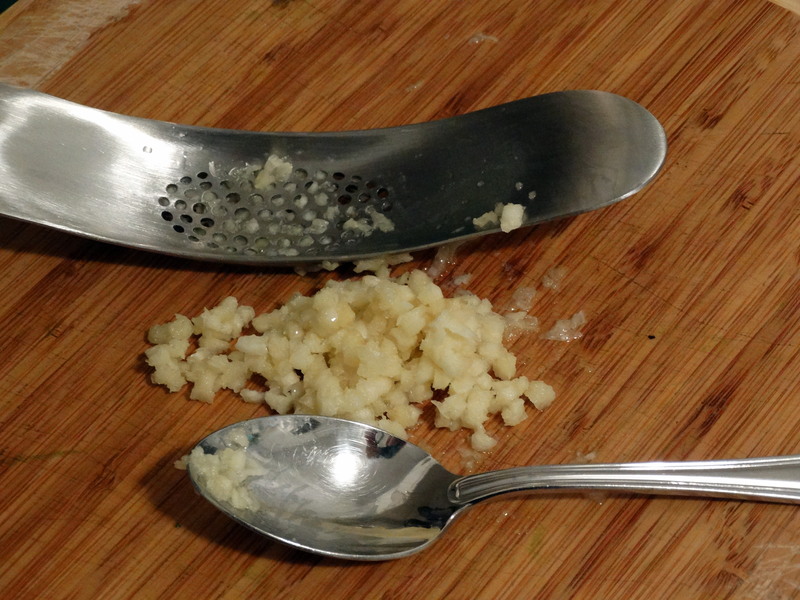 Remove the skins and cut off the small stem end of each garlic clove. Place a single clove under the center of the press. Press down while rocking it to the left or right and you have minced garlic! Repeat with the remainder of your cloves. 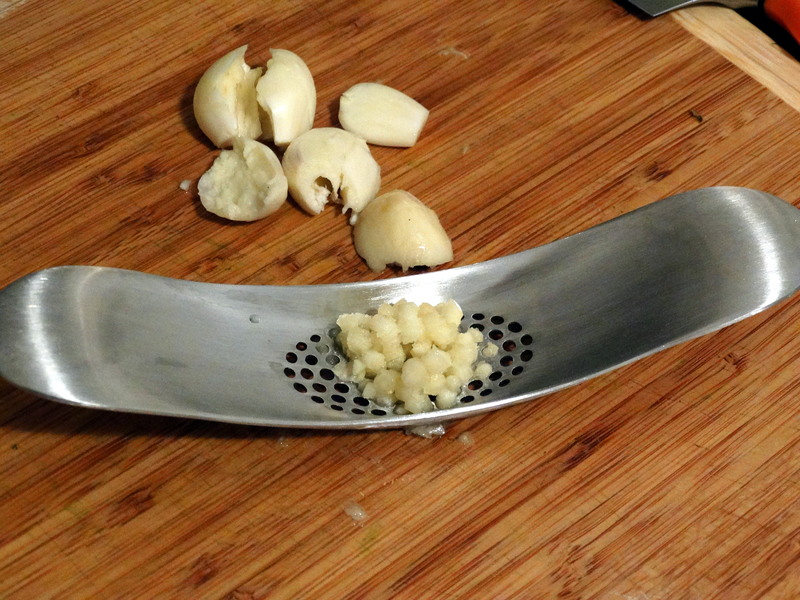 When you’re done, use a spoon to scrape the garlic off and transfer directly from the rocker to your pan/bowl/etc. If you only have a few cloves, you don’t even need to clean it out in between each clove. It’s easy to clean, too. Just run water over the holes and use your thumb to loosen pieces that are sticking. If you have a stubborn piece that refuses to budge, use a toothpick to pop it out. Want one of your own? 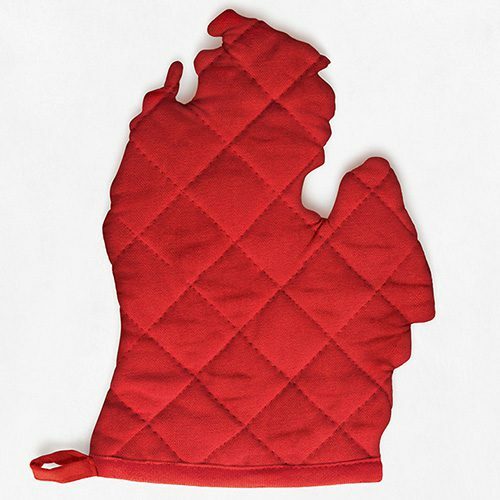 You can get it here: https://www.josephjoseph.com/en-us/product/rocker/. Some things are too good not to share!